Sleepless in Seattle is a story of romance that begins with a call to a national radio program, which provides the hook to this compelling love story between Tom Hanks and Meg Ryan–two of my favorite actors. There’s something about hearing a love song dedicated to someone specific that draws us into the story. We want to celebrate, laugh, cry or empathize with them. If you don’t know what I’m talking about check out the following video by David Mercer, a radio host who is saying goodbye to his broadcast audience of 16 1/2 years. As his final song he shares a dedication his wife sent in to him for this “end of an era” in his life. She does a great job honoring him for a job well done. If you had the opportunity to dedicate a song to your spouse, what would you say? What song would you choose? 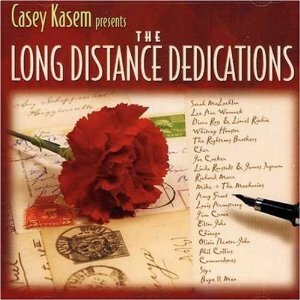 Love Song Dedication To My Spouse Contest. Write or video what you would want the radio host to read to your spouse on the air (max 200 words). Include the link to the love song and artist you would want to play following your dedication. Be as creative as you’d like–extra points for those who go above and beyond in entering this contest. E-mail your entry to us at theromanticvineyard(at)gmail(dot)com no later than October 31st. Entrants must be married or engaged and must include their name, city, number of years married or date of their wedding and their e-mail address. (e-mail will be kept confidential). 5 Finalist will be selected based on creativity, story shared and song selected. The finalists will be determined solely by our discretion and will be announced on November 7th where our readers will have a chance to vote for their favorite. The Grand Prize winner will be announced on our blogiversary–November 12th. The Grand Prize winner will receive a $50 Amazon gift card or one to their favorite restaurant for a date night on us. This entry was posted in Christian Marriage, Contests, Love Song Dedication To My Spouse, Music and tagged Contests, Dedications, Love Songs, Sheila Wray Gregoire, Wifey Wednesdays. Bookmark the permalink.